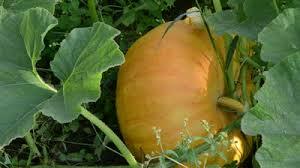 Pumpkin is cultivated mainly in the side yard of the house or behind the house. The tree grows in rainy season bearing very dense leaves. Similarly, the fruit very much so if this tree planting tree owners can enjoy the results abound. Typical pumpkin tastes cold but there was a sense slightly sweetness. People who are reducing the consumption of carbohydrates due to disease are advised to consume these pumpkins. High water content and contains several vitamins and rich in fiber. menetrarisir accelerate blood circulation and toxins in the body. Pumpkin contains high levels of folic acid. Folic acid content in 100 grams squash reaches 93 mg. Folic acid is essential for pregnant women to reduce the risk of birth defects. Generally, pregnant women taking folic acid is low, the potential of having a baby with low birth weight and impaired brain development. Squash fiber content of 1.7 g per 100 g. The content of dietary fiber in addition good for digestive problems, it also plays an important role to reduce the risk of cancer caused by incomplete digestion system. People who are suffering from high levels in the blood gulu highly recommended to consume a pumpkin. Additionally, squash also has the benefit of lowering efficacy mampuh sugar levels, facilitate the disposal of urine and reduce the symptoms of gout. That are the pumkins simple plant to plant, to grow, to cultivate and to maintain. It bears fruits all year round, and the neighbour will also have this pumkins in their kitchens. There is another fruit having great and much benefit as gingko and seed egg.